Lesley Schiff is an artist who is continually thinking outside the box. 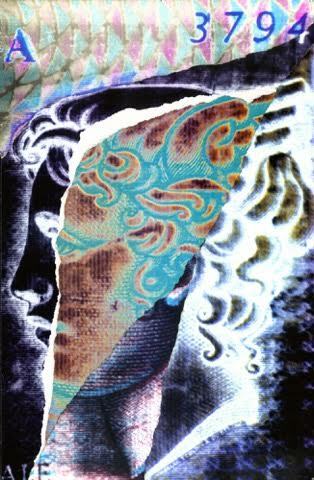 Her works of art are mesmerizing, inspiring and dramatic. Please enjoy this interview with Lesley and visit her websites which are listed below. Lesley your works of art are incredible and so fascinating. 1) When did you become interested in creating art? Thank you! That’s quite a compliment. Art found me. My mother is an artist. When she decided to go to The Art Institute of Chicago, my older brother and I also began our art education, at the museum’s junior school. I was seven years old. 2) Have you had mentors or people in your life who have encouraged your endeavors? The first mentor, obviously is my mother…..very encouraging. Also, many of her enormously, talented artist friends were part of my upbringing. When I graduated from The Art Institute of Chicago, I left the following day for New York City, because at that time, it was where you went if you wanted to be a ‘serious artist.’ I became very close with another family of very talented artists and textile designers. In fact, they were connected to Albert Hadley and Sister Parish! I have many mentors…..they come in all different sizes, ages, and they come from this time and going back to the beginning of recorded artistic expression. 3) What inspires you? How does your thought process work when you begin a new piece or a new series of art? I think of what I do as a Thank You Card. There’s always so much to be grateful for, enchanted by, and curious about. My thought process is more of a quiet retreat. I stop Time, whenever possible, and wait. I wait to be directed. I wait for Vision to make an appearance. When that occurs, then I follow and obey. When I trust that approach, the pictures usually work. I look for a connection between my contrary aspects: body, mind, spirit. When there’s alignment, then a story begins. Usually, the story tells you what to say. 3.1) How did your current genre in art come about? 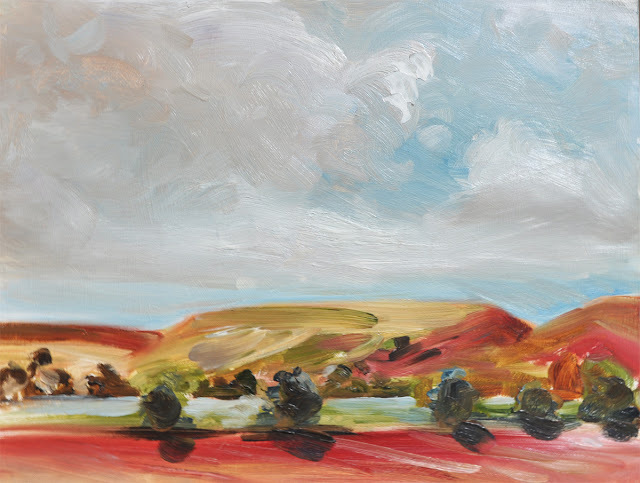 I developed what I do using the structure of painting which was my focus of study. I wanted a more direct way to put the ideas down and see if the concepts were worth investigating. Being aware of the world and the array of tools, I landed on an unconventional way to achieve the same result. 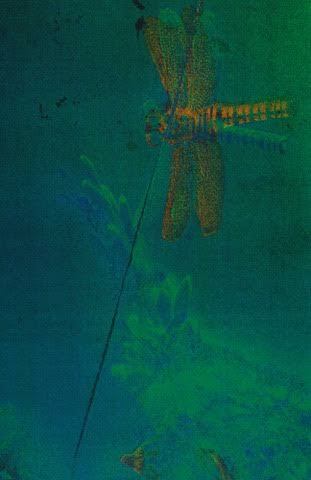 I discovered that a color copier works as a combination of silk-screening and photography. But for me, it was a way to put all the elements necessary to paint with, into one device: light, color, paper, and a ‘tabletop’ to set up the pictures from. 4) Does being part of a renowned family of artists create synergy? Yes! It also allows for continuity. You don’t have to explain your angle to someone unfamiliar with an artistic quest. You are free to use shorthand and stay in the excitement. 5) Your current event is very unique, would you tell our readers about this special exhibit? I was fortunate to do a large commission for Columbia Records, which is owned by Sony Music. It also happens to be Bob Dylan’s label. Of the 100 portraits I did for 3 floors of their NYC corporate offices, 4 of the portraits were of Dylan. I ended up being introduced to his manager and made a proposal to do a limited edition portrait of Dylan. Each portfolio contains images of Dylan, songs of his that I’ve illustrated and icons, synonymous with his persona. 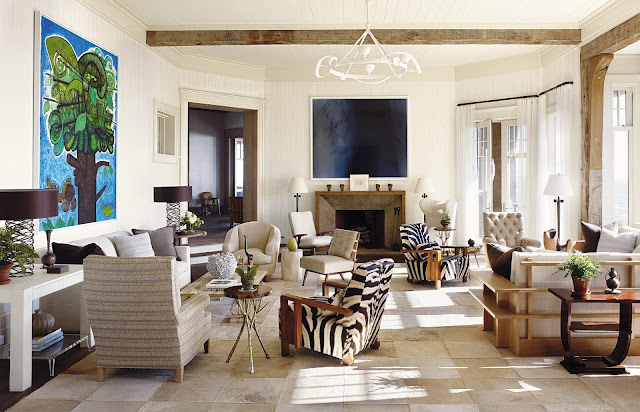 This first exhibit in Boston shows the portfolio art, as well as large-scale prints and works on brushed aluminum. 6) Lesley, that is an amazing story! 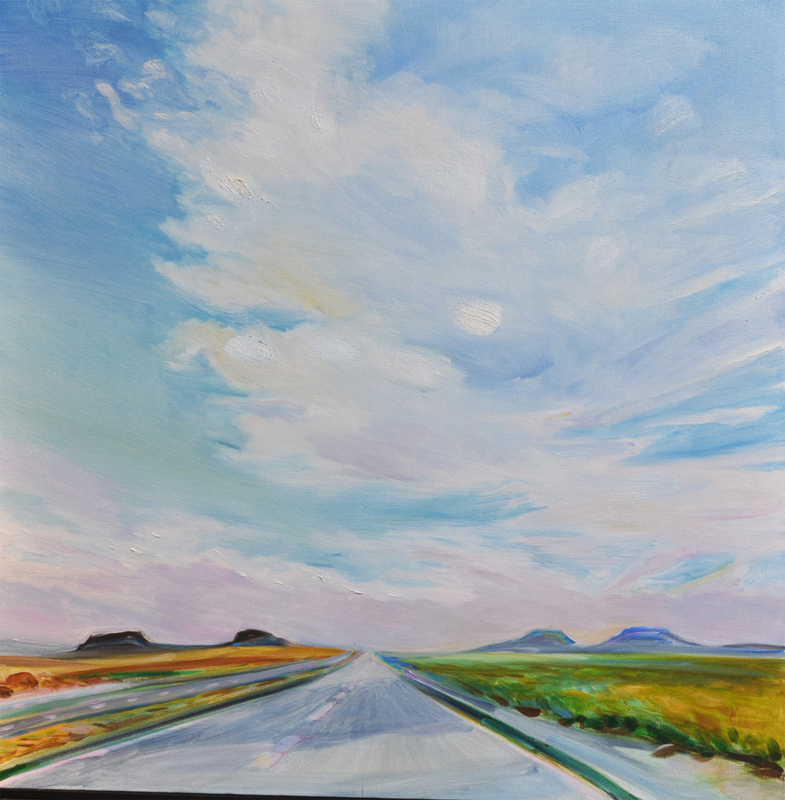 Where will you be showing your art next, any upcoming exhibits? I’m in the midst of finding other locations for the Dylan Portrait. As soon as we have dates, they will be posted on the website. 7) What is your advice to the beginning artist of any age? Listen. Follow the prompting. Listen only to that quiet inner voice. Trust the eyes of your heart. Thank you again Lesley for this insightful interview. I know readers will be following you to see what exhibit is next on your tour! "I thought it worked really well. 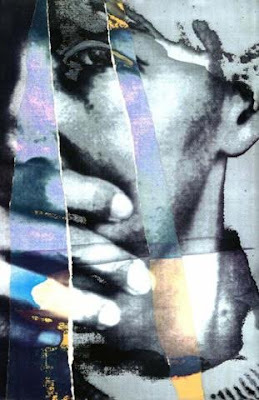 The juxtapositions of lyrics, fonts, colors, texture, evocative images, most recognizable but transformed in the new medium, all made for a pleasing hour and a half." Lesley's art ranges in size from 16" x 24" up to 60" x 90" -- as unique works, multiples & limited editions. 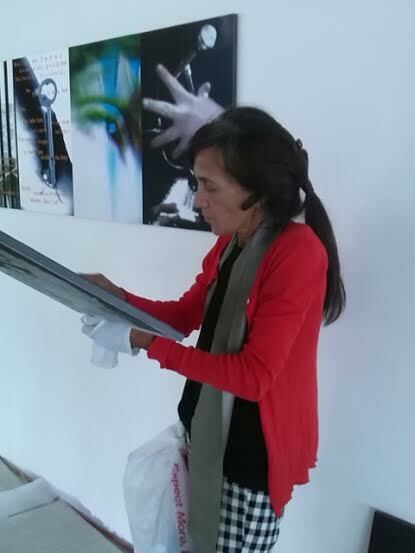 Lesley finalizes all of her work on a Canon ImagePROGRAF and Hahnemuhle Photo Rag Archival Paper. Many thanks to Paula Winke, marketing and public relations consultant at Creative Business Affairs, who made the introduction. Paula is based in Kansas City and works with clients here in North America and abroad. Sign up for email alerts to receive notification of new features! Some Halloween Artistry for You!! 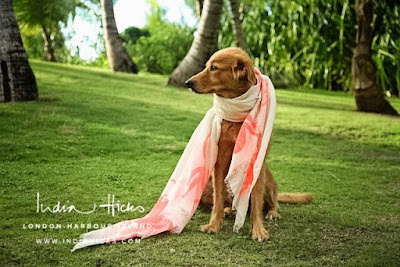 I am so excited to share my journey as an India Hicks Style Ambassador! Along with this blog which I love writing to promote The Arts, writing for publishers and publicists, I keep quite busy! Social Media is the Rabbit Hole I do love, especially Instagram! You have all been so supportive and encouraging and I want to thank you! I am looking for friends to host Get Togethers or to join our amazing group of women with India Hicks! 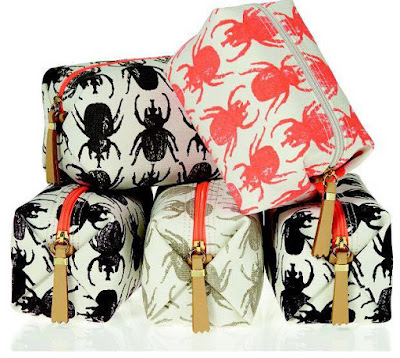 I thought I would show you just a few India Hicks items that would be fun for you as an adult on Halloween or for a special daughter or niece, bestie, etc! You can order right onmy own secure site www.indiahicks.com/rep/karenalbert ! 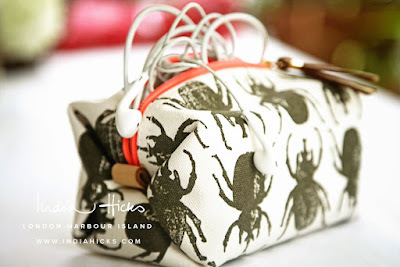 The Beetle Bag Fill it with goodies, lipgloss, computer or charger cords! The Siren Scarf is a perfect Accessory anytime! Girls, teens and women of all ages love this Good Luck Beetle Bag!! 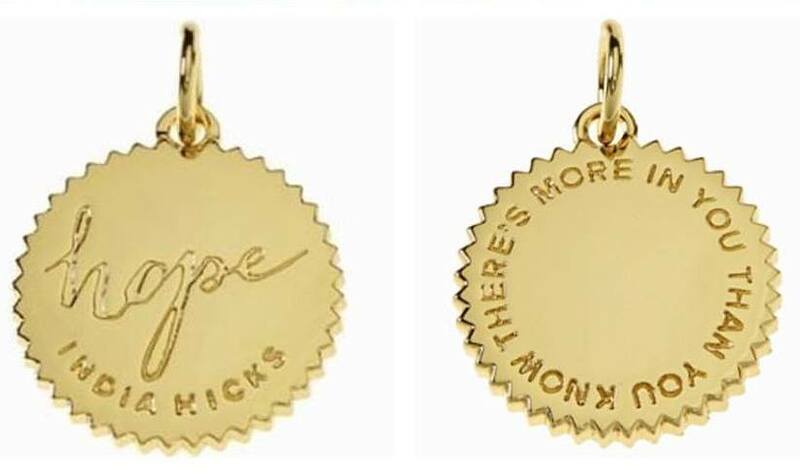 Don't forget about Breast Cancer Awareness Month, there are many Sterling Silver or Gold Plate Love Tokens that are perfect for someone you love! 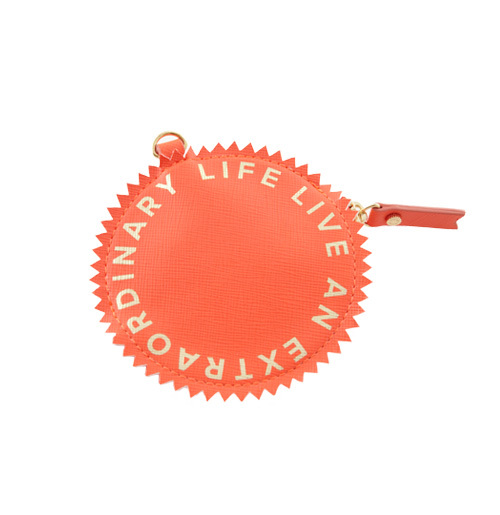 Remember to Live an Extraordinary Life, here is our inspiring Coin Purse! Email me or go directly to my secure site to place an order!! Labels: Autumn Decor, Gifts. 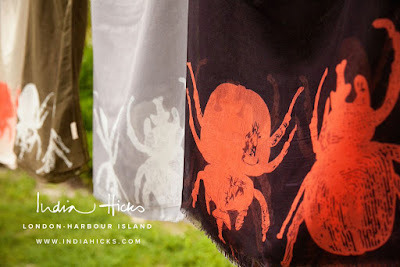 Home and Decor, Halloween, India Hicks, India Hicks Style Ambassador, Live an Extraordinary Life! While at this time we are experiencing Indian Summer alternating with a few crisp, Autumn days and nights; soon here in the Midwest we will long for the tropical climes, the beaches, the warmth of cities like Palm Beach in Florida. 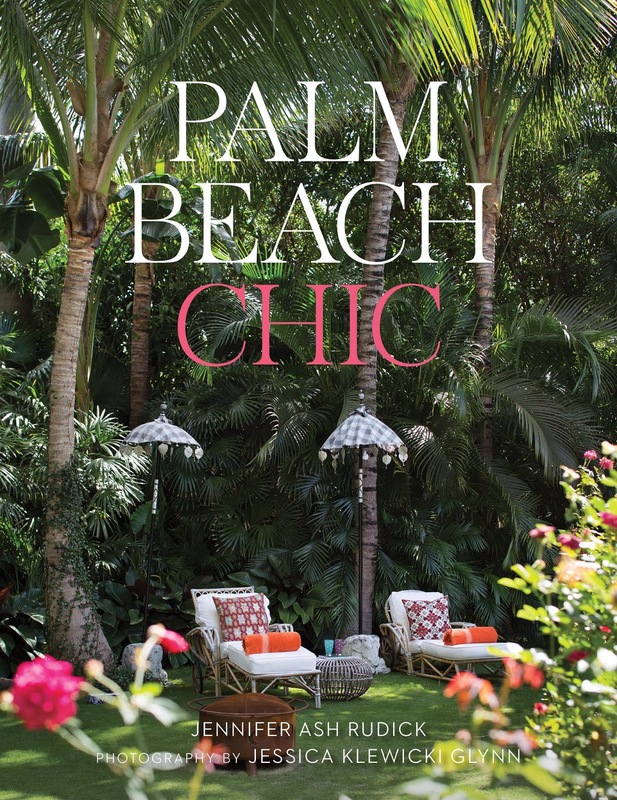 Palm Beach Chic by Jennifer Ash Rudick, recently released by The Vendome Press , is the perfect book to have in your library to browse through on evenings this winter or anytime! The architectural styles of these incredibly beautiful properties along with their gorgeous grounds range from a restored Mediterranean Revival by the renowned Palm Beach architects Addison Mizner, Maurice Fatio, and Marion Sims Wyeth, cottages nearly hidden in lush tropical foliage, an exotic Moorish casbah, postmodern villas, a sprawling ranch, and Mid-century vintage condos. The collections, the furnishings and the museum quality works of art will make you swoon! 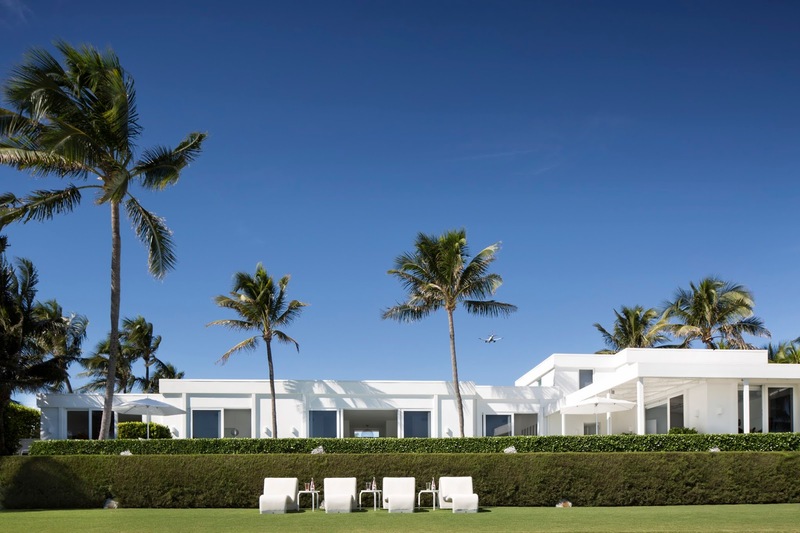 Included are some of the most photographed properties in the world, such as the former estates of C.Z Guest and Lily Pulitzer, also Josie Natori's home, Laura and Harry Slatkin's, art patron Beth Rudin DeWoody and more. 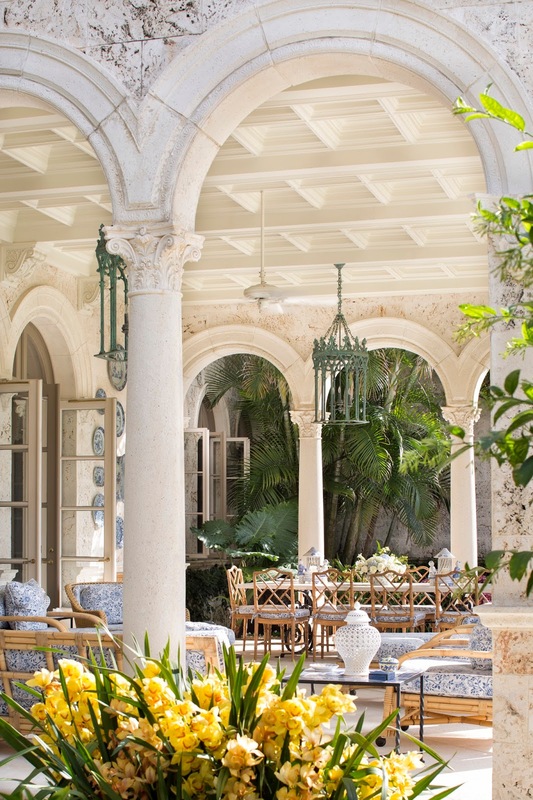 Many have been renovated and some left in their pristine original architecture and decor. 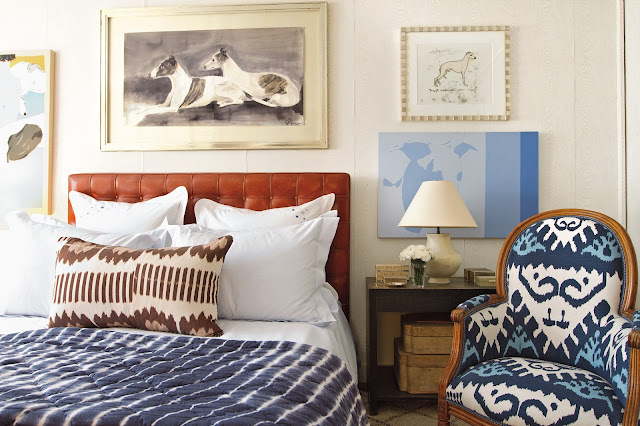 The superb photography by award winning Jessica Klewicki Glynn pulls one right into the luxe scenery. 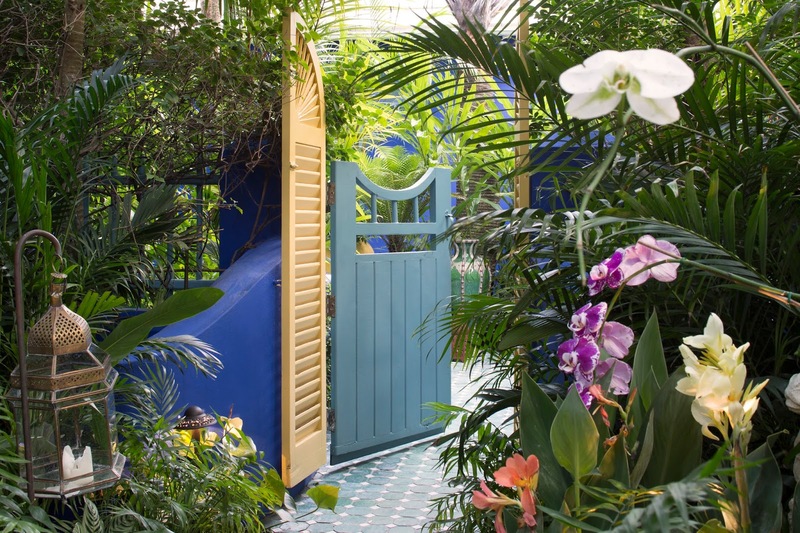 Just a few of the interior designers, landscape designers and architects represented in this stunning book are David Easton, Lillian Fernandez, David Kleinberg, Thierry Despot, Peter Marino, Calvin Tsao and Mario Nievera. Thank you to The Vendome Press for the use of images and the publicity copy. 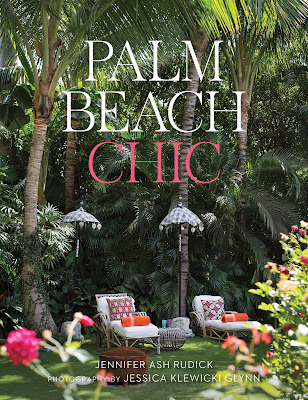 You may purchase Palm Beach Chic at Amazon or your local bookseller! Much thanks to my Family, Friends, and Followers who Support The Arts! Sign up for email alerts to receive notification of my latest features!! Please do leave a comment as they truly make my day!! 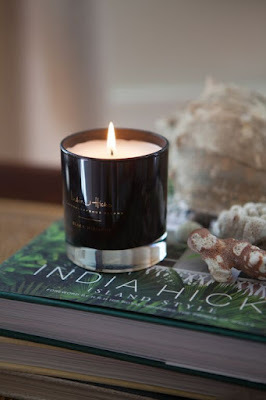 Another book you will enjoy tremendously is India Hicks: Island Style. Find it along with other great selections from India's Fall Line for yourself or as gifts on my Style Ambassador site with India Hicks! Recently my friend Lee Bowers was in town for the opening of her fine art exhibit at MLB Designs and Boutique in the Kansas City Arts District. It was so good to catch up with her. 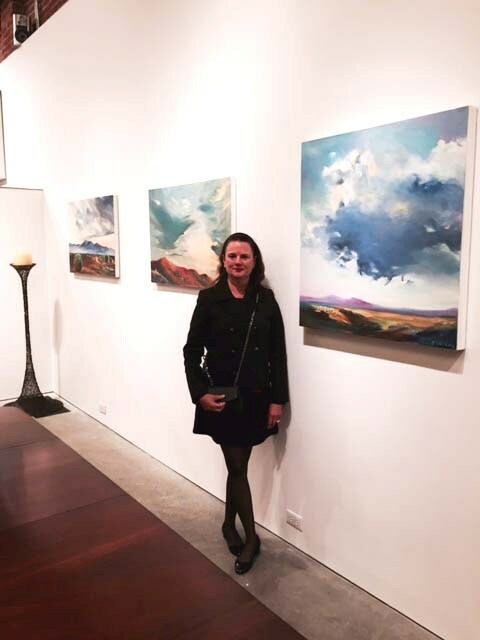 Please enjoy our conversation, some of her fabulous art, as well as her new venture! 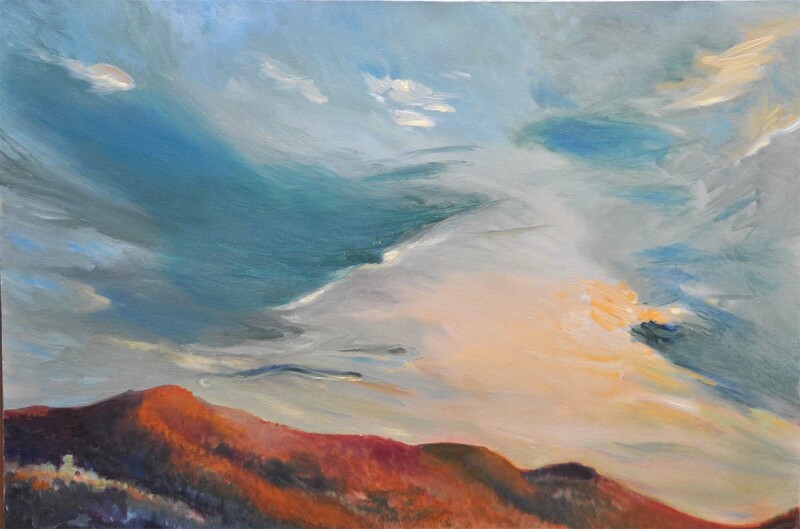 Lee's art will be on exhibit for the month of October and I will also include her own website links below. 1) Lee, when did you first become interested in the arts and find that you had a creative side to unleash on the world? When I was 8 my Mother commissioned a very well known Topeka portrait artist, Margaret Wakeman, for portraits of my older brother and myself. I sat for her in her studio and she showed me her materials and talked about her techniques. I told my parents that day that I wanted to be an artist just like her. Taking me seriously, and also because we have other professional women artists in the family, they signed me up for drawing classes at Washburne University on Saturdays. I never changed my mind and the the skills came naturally to me. 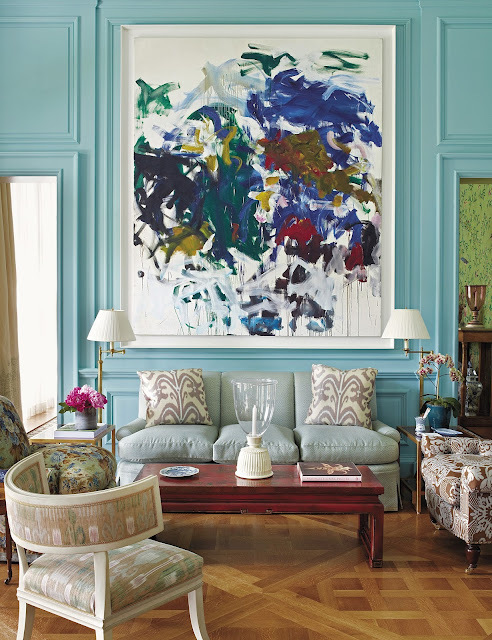 2) Do or did you have mentors who encouraged your interest in art? All of my teachers encouraged my talents in drawing and painting through grade school up through graduate school. Mentors though were only three, Larry Schoulder, my printmaking teacher at SMU, Carmelita Maracci, my ballet teacher for ten years after Cal-Arts in Los Angeles, and Jules Engel, my animation mentor at CalArts. Carmelita possessed a brilliant mind and took me under her guidance regarding, not only dance and music, but also art history and philosophy and literature. 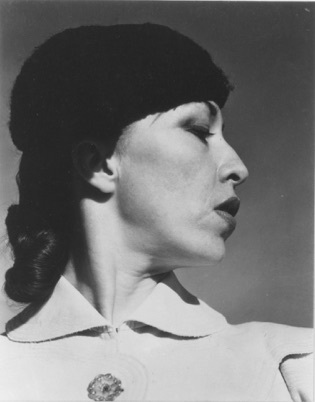 She was great friends with artists such as Frieda Kahlo, Rico LeBruen, and Edward Weston. While in graduate school at CalArts I had the great pleasure to have Jules Engel as my official mentor. He was from Budapest and after escaping to Hollywood, was hired by Disney to design for Fantasia. 3) Are there certain artists past or present that you especially admire? I admire many artists and it is always changing depending on who I have been exposed to. In the early days, Georgia O'Keefe, of course, and I visited her home and studio in 1978. Early also are MC Escher, Magritte, Goya, and all of the french landscape artists like Millet etc. 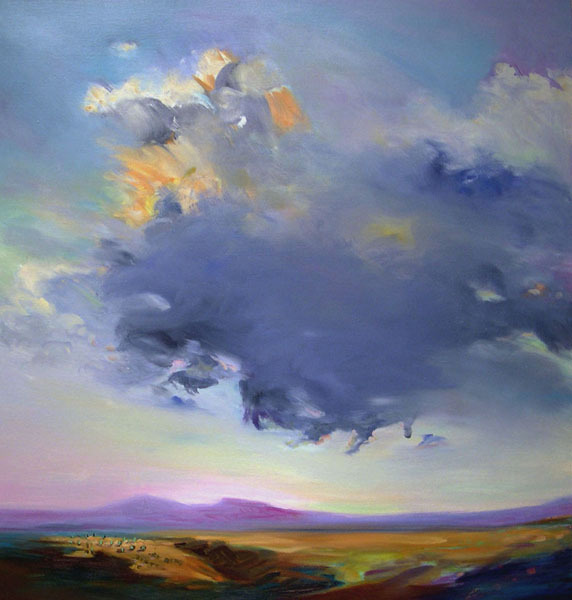 Later I fell for the abstract expressionists and today I love April Gornik's landscapes, Walton Ford's wild and provocative watercolors....and a French painter on my SpartaApp, Patrick Boussignac....truly the finest Surrealist Figurative artist living today. John Singer Sargent, Edwin Church, Helen Frankenthaler, Motherwell, Hudson River School gang, Degas.....I also have great admiration for Kansas artist and friend, Lisa Grossman. This could go on and on...but not now. 4) You have lived in many wonderful cities around the world, How did this inspire you art? What else inspires you to create paintings? My inspiration has always been nature. Wherever I am the landscape wraps around me and then I interpret. It is very simple. Additional Landscape Influences: Bierstadt, David Hockney, the skies of Gainsborough. 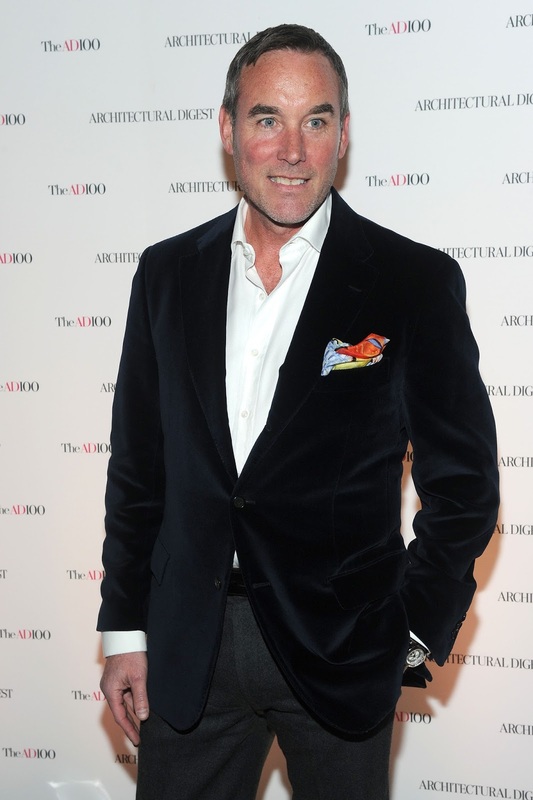 5) Lee, would you tell our readers about your exciting venture, Gallerie Sparta? 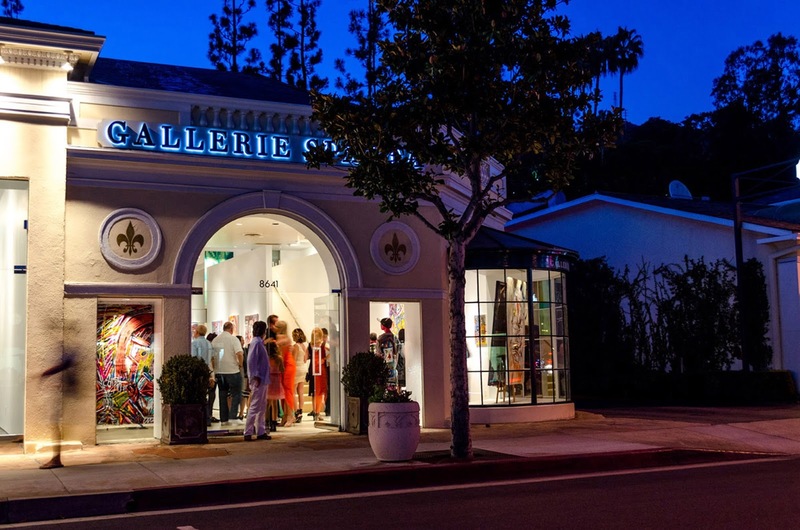 I co-owned Gallerie Sparta in West Hollywood with my partner, Stephan Sparta. We represented both International established artists and celebrity artists...and me, of course. It was a wild ride. 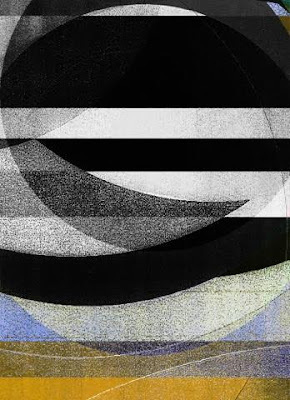 Google Gallerie Sparta to see thirteen pages of our openings and press. We even held an exhibit of the late Dr. Jack Kevorkian paintings....yes he painted...and quite well. 6) What else is in the works for the near future, upcoming exhibits, etc? I know you are the featured artist at MLB Designs & Boutique for the month of October, for anyone in the Kansas City area. SpartaApp, SpartaApp, SpartaApp. 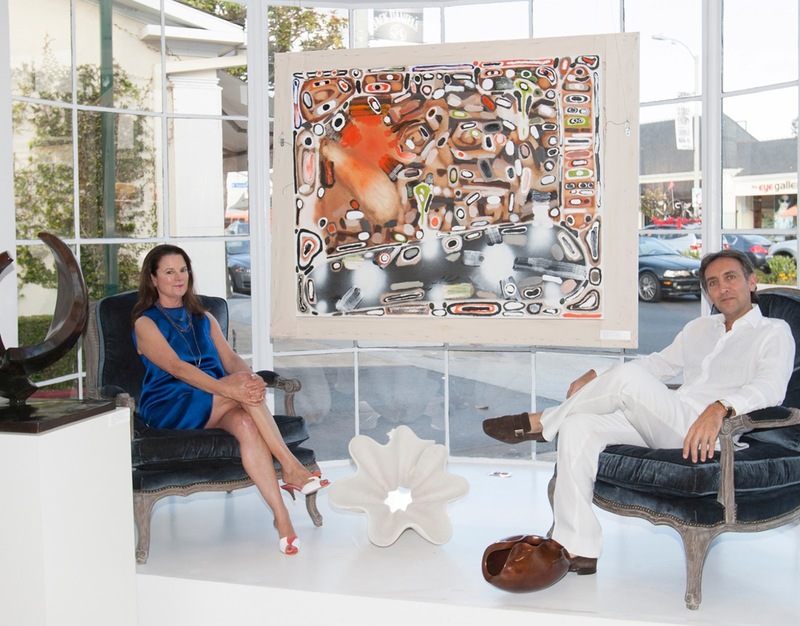 We launched our new International Art App that connects collectors directly to artists....worldwide in March and are very much consumed with it. You buy directly from our artists without any commissions. We empower artists in over 55 countries and adding daily. Free download to iPhone and Android in the works. I think that I have been training for this adventure my whole art life. I know what artists desire. 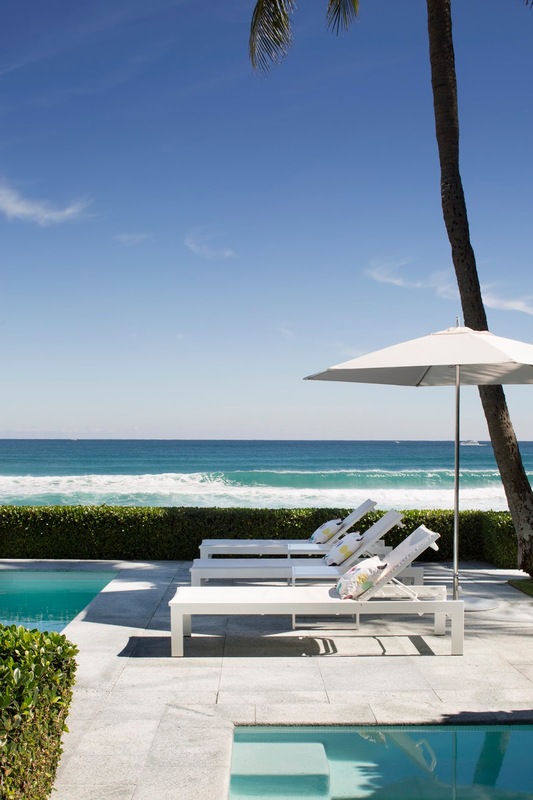 7) How do you like to spend your down time to relax and recharge? What down time? Yoga in the mornings by myself, walks with Lilly the Golden Retriever everyday, cooking with Stephan each evening. We do get to travel quite a lot as well. I am taking sculptures classes here in Palm Springs in clay. It is one medium that I had never tried. Working on a large "Boteroesque" like horse. 8) What advice do you have for the beginning artist of any age? 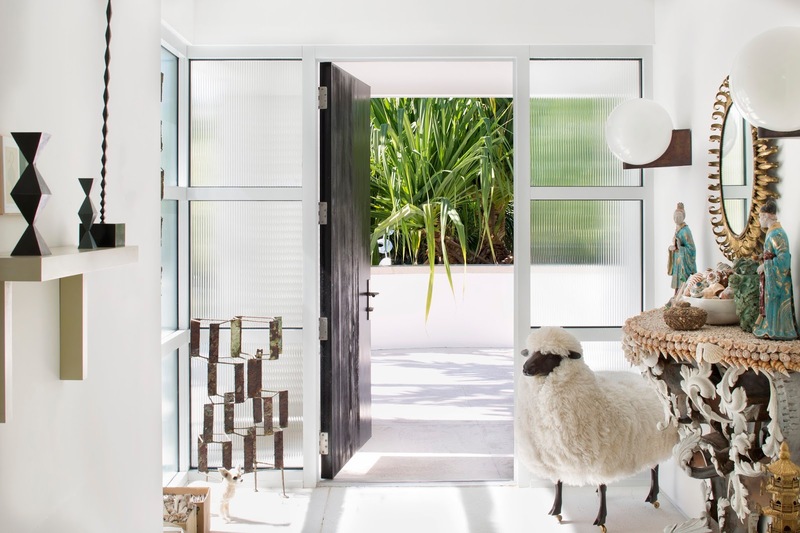 We just started representing a new artist who began only one year ago with her whimsical and sensual "Assemblage" artworks. She is 75. Just do it if you have the calling. Lee, thank you so much, and I really love your last thought on advice for the beginning artist! Sign up for email alerts or add me to your blogroll to receive notifications of new features! high quality lifestyle line! The holidays are coming! 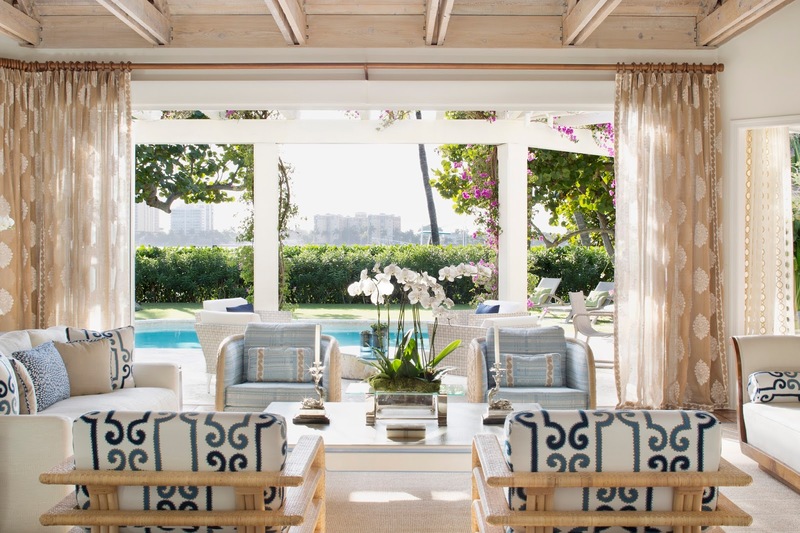 The firm of Parish-Hadley Associates was the premier interior design company in America for more than three decades. 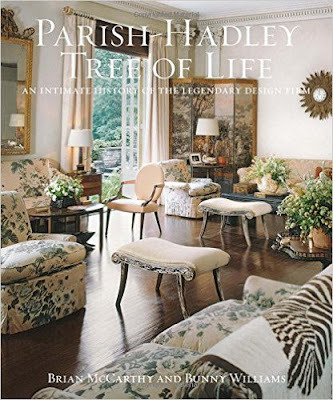 In Parish-Hadley Tree of Life by Brian J. McCarthy and Bunny Williams, thirty premier interior designers tell of their own personal and intimate experiences of working in this illustrious firm with Sister Parish and Albert Hadley. 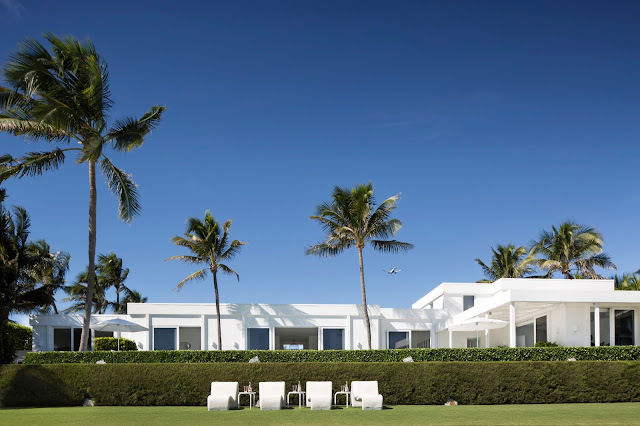 This eminent design firm was commissioned by some of the most prestigious families in America; the Getty's, Rockefeller's, Astor's, Kennedy's and more. 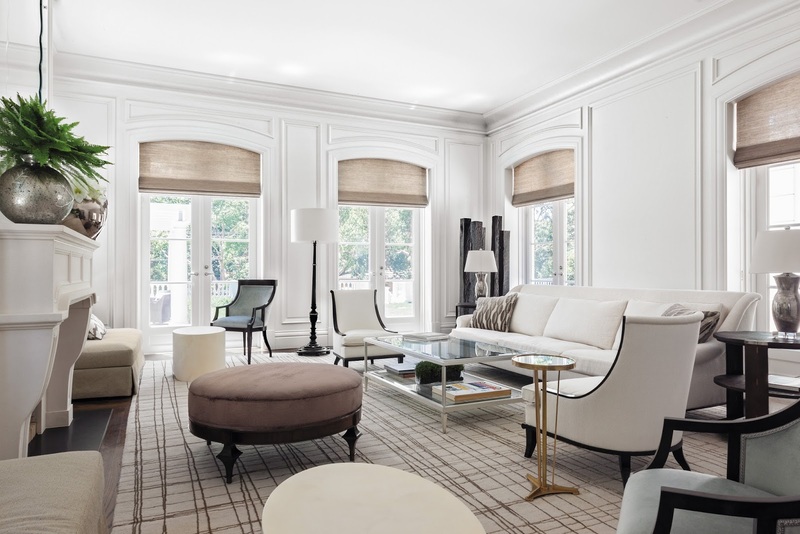 To this day the designers who began with Parish-Hadley Associates work for some of the most esteemed families and corporations in the world! 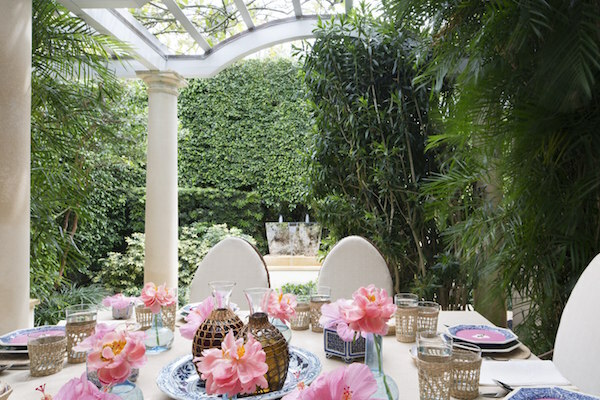 Bunny Williams recounts in the introduction, "Parish Hadley was the rarity of a combination of two people who were very different in their direction but both passionate about beautiful houses. They came at it from different ways. But it was the combination that made it magic." "Curiosity. It all goes back to curiosity. If we really think back to Parish-Hadley, and all of us who came out of there, the common thread is that we were curious. And that was absolutely fostered by the two of them. There was also this view to the artistry of design and decorating, and the process of developing the ideas and the samples. If I think about the level of detail that I go to today, where did it all begin? It began at Parish-Hadley." Thank you to Abrams Books for the Publicity copy of Parish-Hadley Tree of Life: An Inmate History of the Legendary Design Firm. I encourage my readers to add this very special book to your library. It can be purchased at Amazon.com or at your local bookseller. 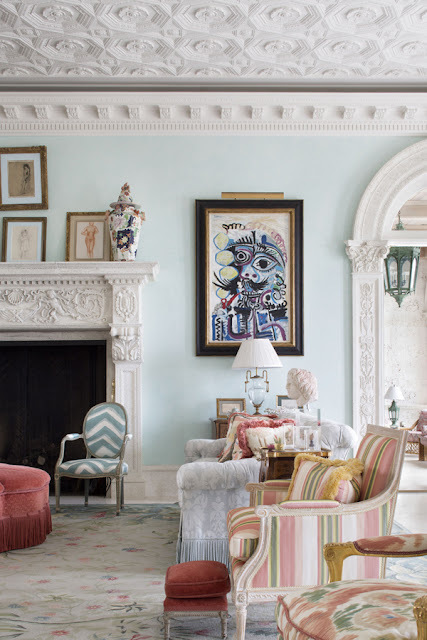 Also please don't miss my post on Brian McCarthy's fabulous book, Luminous Interiors! You will love seeing more of his design works! Please do leave a comment as they make my day.